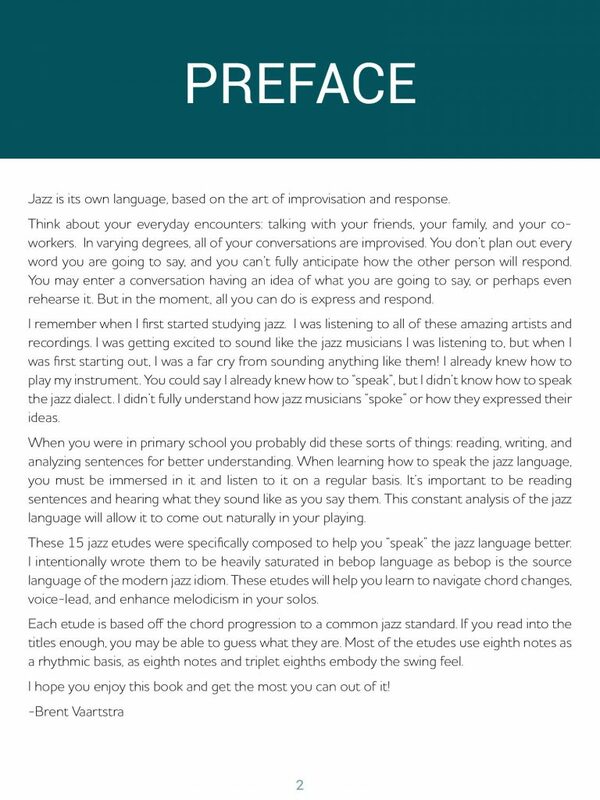 15 great jazz solos with backing tracks to help you learn authentic jazz language and take your improvisation to the next level! 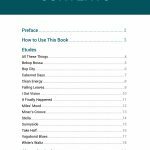 Versions for C instruments, bass, and guitar TABS! 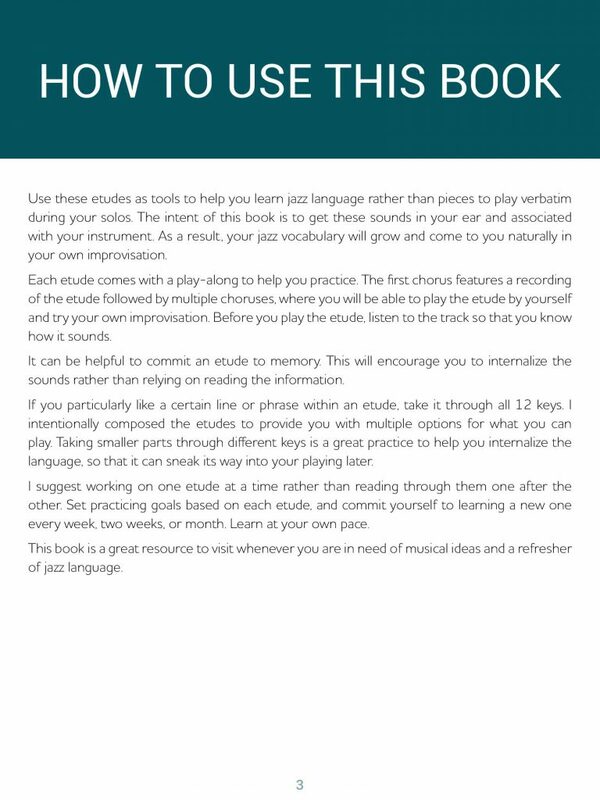 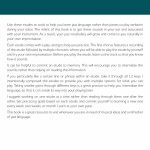 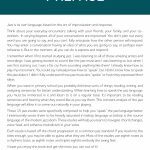 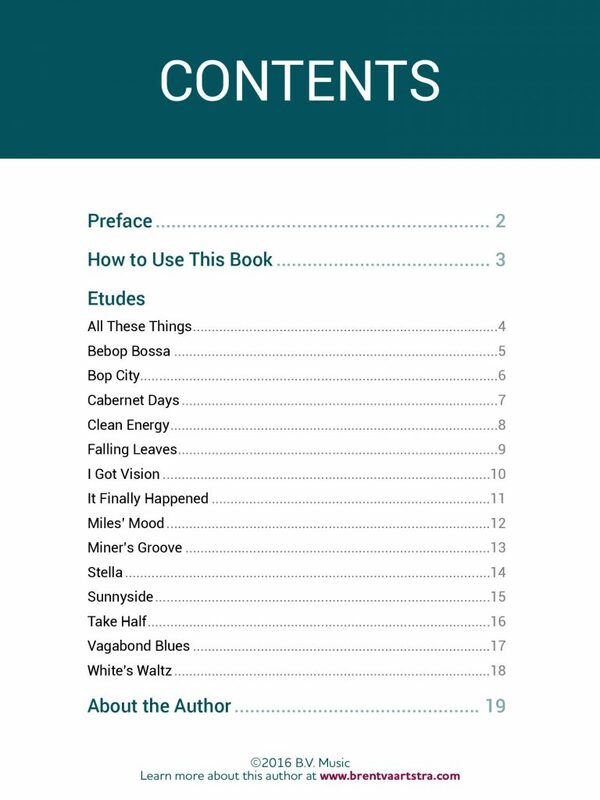 15 Essential Jazz Etudes is a collection of etudes specifically composed to help you “speak” the jazz language better. 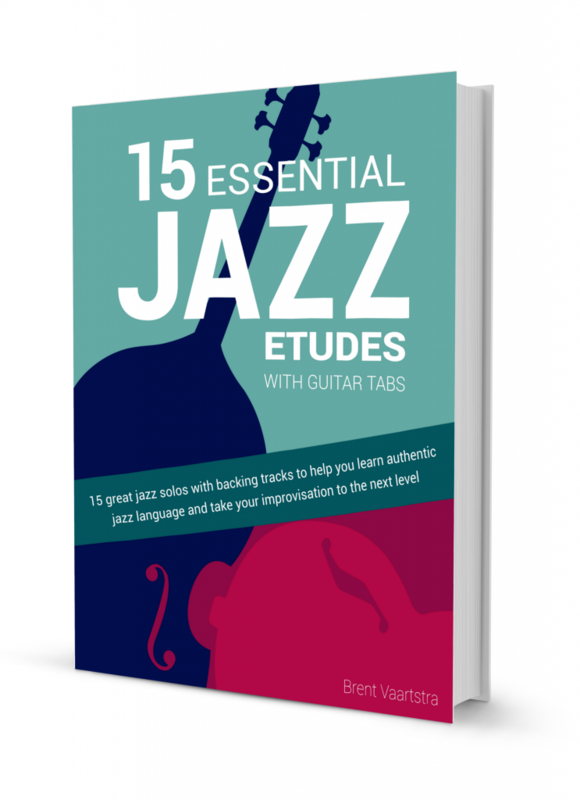 Each etude focuses heavily on bebop and clearly spelling out the chord changes to help your solo’s come to life! 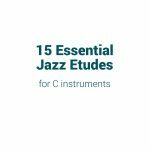 These etudes will help you learn to navigate chord changes, voice-lead, and enhance melodicism in your solos. 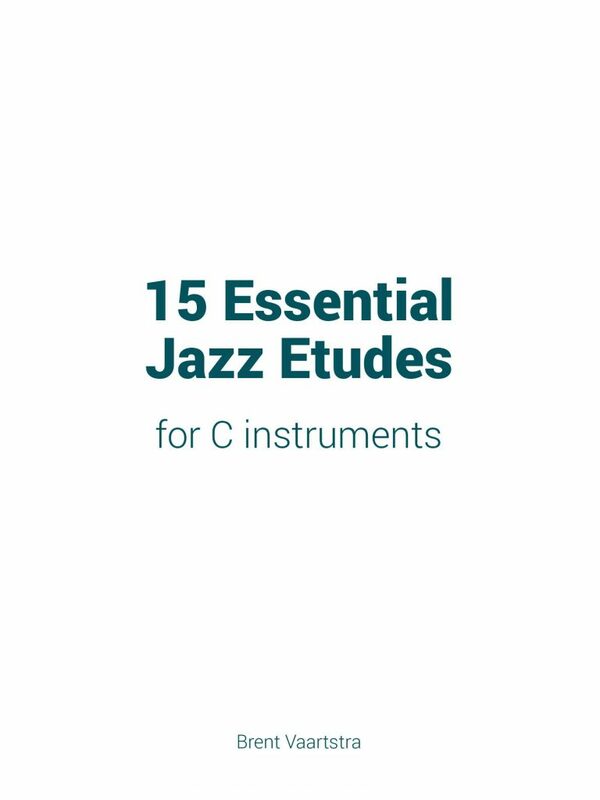 Each etude is based on the chord progression to a common jazz standard. 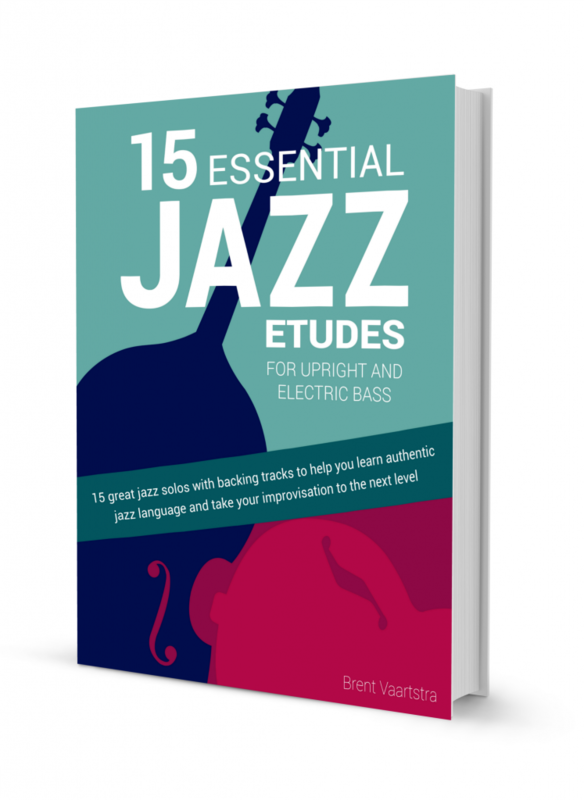 Hear the etudes in action!